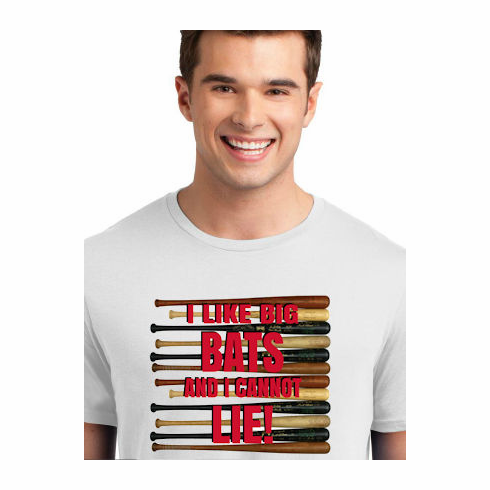 These baseball t-shirts and sweatshirts have the I LIKE BIG BATS AND I CANNOT LIE! wooden bats graphics screened on the chest. Short sleeve and long sleeve tees are 100% cotton. Hanes sweatshirts are 9.7-ounce, 90/10 cotton/poly blend and only go up to 3X.